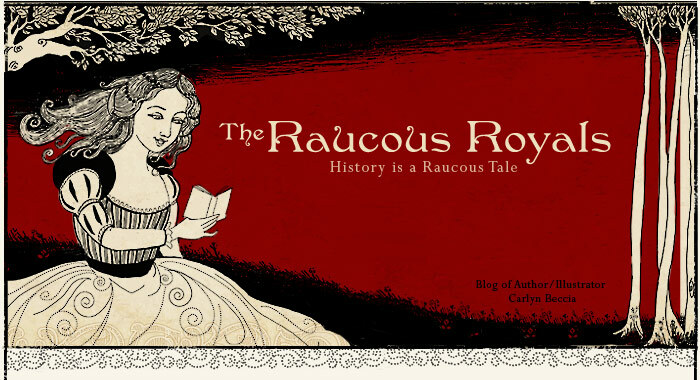 This is my rough sketch illustrating royal doctors and all the wacky medical cures used throughout history. 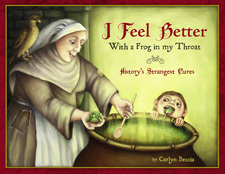 It is for my next book which will be out in 2010 called I Feel Better with a Frog in my Throat. I am not sure if this sketch will make the cut. 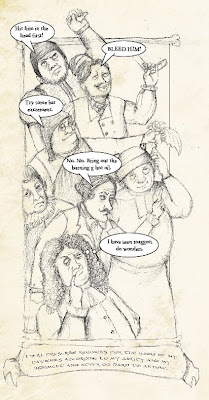 This week’s post features my favorite doctor of the irascible Henry VIII – Dr. Butts. While Henry was courting Anne Boleyn, Dr. Butts was sent to the future queen to cure her of the Sweating Sickness.1 Anne survived thus earning Dr. Butts future job security. (We can take a guess as what his fate would have been if she had died) Dr. Butts then went on to become royal physician to all of Henry’s children and most importantly a good friend to Henry. Being the royal physician in Henry's court was not as prestigious as we may think. 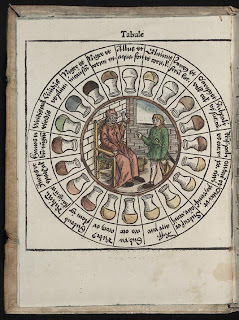 The physician's role was secondary to the apothecary who got to do all the fun mixing of pills and potions. Basically, the court physician was a glorified chemist to the King’s bodily excretions. Dr. Butts had the very serious job of making sure the amount of liquids and food that went into the king….came out at the other end. His daily responsibilities entailed examining the King’s urine and make sure it was up to snuff...or sniff. How do you tell good pee from bad pee? Well let’s start with our handy pee chart for the kids at home. The doctor would first consult his chart to classify the specimen. We can conclude green pee = very bad. Yellowish pee = good. Next, the doctor would hold the pee sample up to the light and then diagnose the clarity. Chunky things floating in there = very bad. Clear = good. Next, the doctor would swirl then taste. (Yes, you really needed to swirl first.) A sweet taste= very, very bad. That meant the person might be diabetic. (they of course did not call it diabetes) Many people have claimed that Henry VIII was diabetic later in life, but I have yet to find any quotes from his doctor saying things like, “King’s pee has a nice floral bouquet to it today” No, most likely the King’s pee didn’t warrant much mention. But if we were to guess what the King’s pee tasted like (just for fun) I am guessing that it tasted pretty rancid with all the meat he was eating.2 Henry VIII also loved artichokes. 3 Enough said. 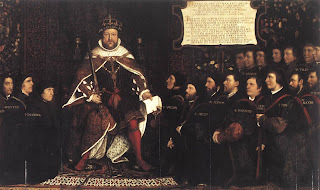 Dr. Butts should not only be remembered as physician to Henry VIII, but also as the man who secured Holbein’s Henry VIII and the Barber-Surgeons (shown here). This was Holbein’s last work before the plague claimed this great artist’s life. (2) When a person eats little fresh fruits and vegetables, their pee gets very dark and stinky. If anyone has been on the Atkins diet then you know exactly what I am talking about. (3) Artichokes like asparagus give urine a strong smell. Just trust me on this one. Porter, Roy. Blood & Guts, A Short History of Medicine. New York, NY: W. W. Norton & Company Ltd., 2002. Magner, Louis. A History of Medicine. Boca Raton, FL: Taylor & Francis, 2005. Just an added note: I got a question from Holly over at wonders and marvels (www.wondersandmarvels.com) who pointed out something that I did not make entirely clear. When I say the apothecary was top dog in Henry VIII’s court, I am talking about the ROYAL apothecary known as the King’s Gentleman Apothecary. To the commoner, the physician was the one with university training so he garnered far more respect then the apothecary. The physician was also much more expensive (to the commoner) so if you were a local peasant you would stop at the apothecary for a quick medicine before calling the doctor. 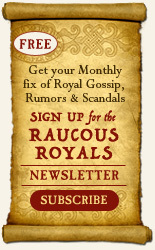 The King’s apothecary was mixing up expensive herbs, priceless gems, and rare unicorn horns. (One unicorn horn could cost half a kingdom). Henry VIII was also a big believer in grinding up gems to heal. So the royal apothecary was paid more than the physician and because he was still viewed as an alchemist of sorts he also determined what was prescribed to the king. The doctor had no say there. Actually funny that you should mention George...his urine was the color of port wine - an indication of porphyria, the disease which caused his insanity. she did the title, "Doomed Queens", you may like it. You've done wonderful work!